In this section of the Danube in Lower Austria between the Wachau and Vienna, the river is wide and the vistas are expansive. The countryside forms a colorful mosaic and lively summer stages beckon. The region surprises you with its lovely scenery and invites you to take off on a voyage of discovery. 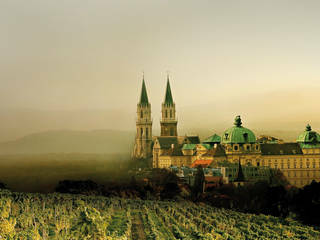 You can taste for yourself the quality of the top wines from the four wine regions Wagram, Traisen Valley, Kamp Valley and the city of Klosterneuburg and treat yourself to the delectable regional cuisine. Lively summer stages also beckon with a diverse lineup of entertainment to make your stay an unforgettable experience. A dense network of bike paths crisscrosses the region, running through towns and vineyards and ensuring diverse and enjoyable cycling. Besides these bike paths, the region also has numerous hiking trails as well as a section of the Way of St. James, an ancient pilgrimage route. Premium bon-vivant roomsThe biggest and best known excursion destinations in Lower Austria have joined together as “TOP Excursion Destinations.” Their goal is to offer guests special quality. Take a stroll where emperors once dwelled, in magnificent castles and historical gardens. Or explore the former haunts of noble and less noble knights of old. Travel the Danube between Ybbs and Hainburg and discover a whole series of castles and fortresses and ruins. Simply stand there, take in the scenery and enjoy. The countryside is particularly impressive when seen from one of the lookout towers or one of the many other kinds of lookout points. From the top of Jauerling or Göttweig Abbey, the Aggstein ruins or the Tulbinger Kogel. Picturesque countryside everywhere you look. 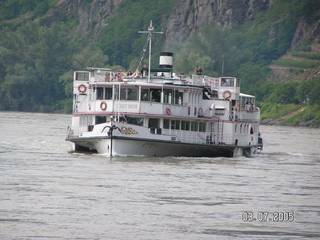 The Danube district and its various regions are particularly charming when viewed from a ship. Enjoy the diverse landscapes, the artfully laid-out vineyards with their typical stone walls, the broad plains and the precious art treasures on both banks. These features make the Wachau one of the most beautiful stretches of river valley in Europe. In the Tullner Donauraum-Wagram region you feel the fresh wind wafting over the colorful mosaic of countryside and it is also noticeable in the diverse art and culture scene. 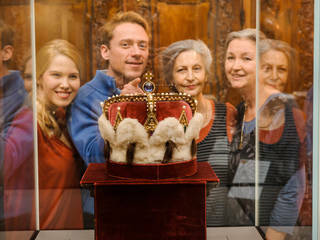 Visit our famous exhibitions or charming museums. There is so much to explore along the Danube! We are here to give you an overview of the big range of available choices so you can put together your dream vacation quickly and easily. To the left you will find entry points to help you find your destinations for exploring the Danube in Lower Austria. 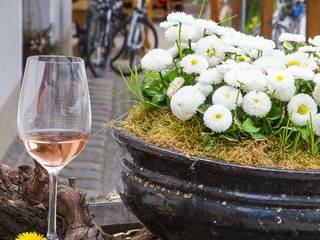 Wine Spring events in the Lower Austrian Danube region are a good opportunity in the wine year to sample the winemaker’s various wines and stock up on wine. Wine Spring takes place from late April to the beginning of May every year. Wachau Wine Spring is recommended, for example, as is Spring Awakening on the Wagram, the New Wine Fest in Göttlesbrunn and the 3-valley Wine Spring in the Kamp, Krems and Traisen Valleys. 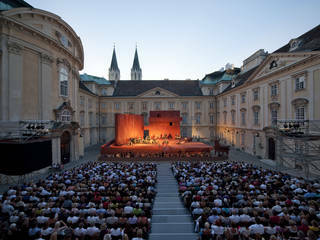 Opera Klosterneuburg is an Austrian opera festival staged annually in July and August in the baroque Imperial Courtyard of Klosterneuburg Abbey in Lower Austria. With its thousands of flowers and unique floral artworks, the international flower show presents, from 30. august to 3. september 2018,nature in all its incomparable splendor. 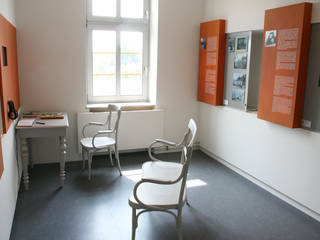 The admission ticket to the show also allows ticket holders to visit the premises of GARTEN TULLN next door.